You wouldn’t want to dip into your pool when it’s almost freezing outside. But that’s not a reason to ignore your swimming pool maintenance in the winter! Because if you don’t, you might end up spending more money to clean and repair the damages. All it takes is a regular maintenance to keep it in its best condition and ready for use once the warmer weather arrives. Conduct the first water analysis at the beginning of the winter season. Adjust the chemicals in order to keep the water’s pH balance correct. Then, check the water fortnightly for any changes. Adjust the chemicals accordingly, enough to inhibit the growth of algae and moulds in your pool. Fact: The colour of the algae tells you how difficult it is to remove. The green pool algae are the easiest to get rid of, the yellow or mustard algae is difficult to kill, while the black algae are most stubborn of all. Keep your pool clean. There are a lot of fallen leaves and other trash which can clog your pool’s filtration system. All of these falls in the skimmer box so make sure to empty it every two weeks. The filter motor will work twice as hard if the skimmer box is filled with unnecessary dirt. Also, the winter rain requires you to drain the pool’s water level halfway up the skimmer box. Backwashing your pool every two or three weeks is already enough during the winter season. You should also check the pipes, tubes and seals for any leakages or wear. If you found these issues, repair them immediately. This saves water and lowers your water bills. It’s pricey to do these things later on. Winter is not always the best time to check the status of all your underwater lights. But if something’s wrong with your pool lighting, call an electrician to fix it. Electricians don’t normally dive into their client’s pool when they’re fixing the lights. Here’s a video of Terry Peterman, the Internet Electrician as he changes the pool light bulb from the deck. If you have a timber pool decking, it’s advisable to clean it with a Napisan dissolved in warm water. Pour the solution and start scrubbing the deck with a stiff-bristled brush. Rinse and let it dry before applying the oil on each plank. That layer of oil will protect the timber from water and sunlight. During winter, the tiles near the water lines will look grey and greasy. Get rid of that pool imperfection using a clean sponge and a mixture of vinegar and baking powder. If the sponge can’t get rid of the stain, use your old toothbrush. 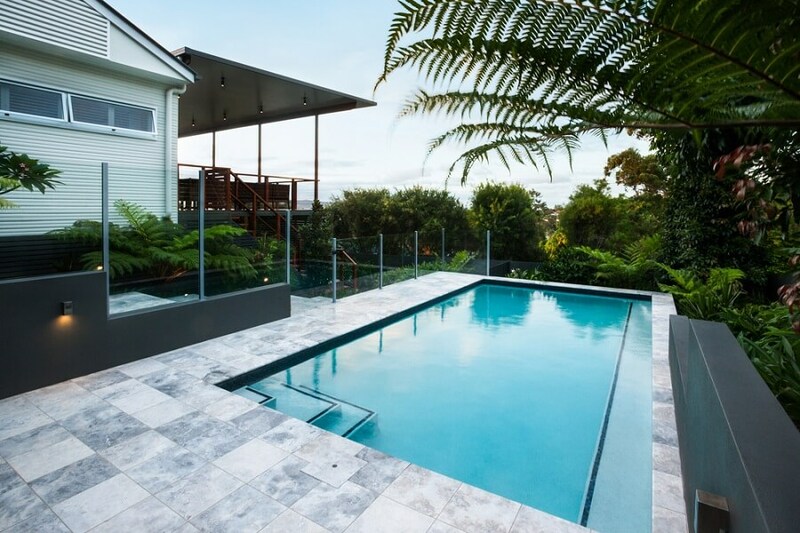 Some homeowners fancy surrounding their pool with glass fences. Can’t blame them—it keeps the kids away from the pool without obstructing the view. Keep it squeaky clean using warm water, liquid soap, and a sponge. Rinse with a quick hose-down of water. Do this in order to minimise the number of dried leaves falling and floating above your pool. Plus, the trimmed areas will promote a new growth come spring. Pack them away or use them somewhere else (such as your covered patio). Do this to extend their life. Also, wash your all season outdoor furniture with warm water and liquid soap. This has two purposes: one is to keep anyone from swimming (and drowning), another is to keep the fallen leaves out of the water. We at Superdraft Australia encourages every pool owner to do the things above to keep their backyard oasis clean during winter. The pool is an expensive feature of the house and you must maintain it if you want to really get value for your money. 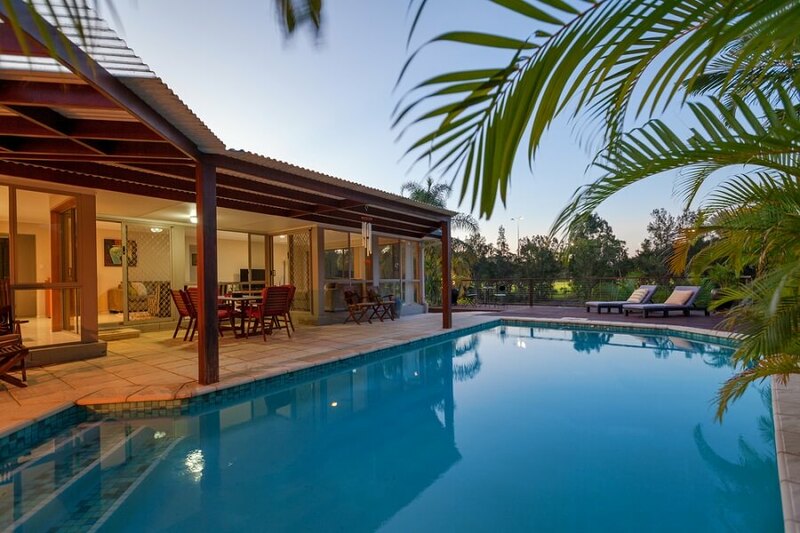 Complete your new home design with the help of our Gold Coast architects.